It seems that the only hair products I use these days are by Bumble and Bumble and my gosh are they fabulous... I don't think I've come across anything I haven't liked yet and my latest obsession is the BB Thickening Dryspun Finish hair spray, something I didn't think I'd like and one of those products that always makes your hair look incredible after leaving the hairdressers. I did worry I wasn't going to be able to make this work for me, I have quite a dry scalp when I use dry shampoo type products and can be quite sensitive to them also so when I found out this worked well for me it made it's way into my weekly hair routine! The BB Dryspun Finish is basically a dry shampoo and a finishing hairspray rolled into one, it creates instant fullness and texture to my lifeless 3 day hair and gives it the life it needs without weighing it down or making it feel heavy. This product can be used on all hair types, I have quite thick hair although it can be very flat so it really works well adding that extra oomph and it's also appropriate for colour treated hair thankfully. I like to use this either straight after blowdrying if I'm after a little more texture or after a couple of days when my hair starts to look a little limp and lifeless, it's perfect to spray onto freshly curled locks as it gives that extra body and texture without making it look crispy or too 'done' like some hair sprays can sometimes do. I really love this finishing spray and I'd highly recommend it if you have thin or lifeless hair that needs some texture and fullness without the backcombing and heavy feeling. If you're struggling with flat and lifeless hair then ask in the salon for a try of the Bumble and Bumble Dryspun spray, it's pretty fabulous! Since cutting all my hair off into a bob I've found styling my hair an absolute dream I've really been enjoying playing around with new products and styles. I have to admit I have stuck to straight and sleek for quite a while but recently I've become little more adventurous adding a little more texture and volume and I've come across the most fabulous product to help with that. I'm quite lazy when it comes to hair washing and styling so when I came across this Bumble and Bumble product that allowed me to be lazy and still create a fabulous yet effortless bed head style I fell in love. I was first introduced to the Creme Contour when Sarah used it on me hair after we first chopped off my locks, she explained this works well on all hair types and perfect to shape shorter cuts like mine. It's a shaping cream that you warm up between your fingers to create a light weight paste and work into the hair to shape and hold your style. It works amazingly well with curls and waves especially in hair like mine, but don't be fooled it works with sleek and straight locks too adding texture and volume it holds so well and is weightless on the hair too. I have to say I was a little worried this would make my hair feel greasy and I thought I wouldn't really know how to use it but after first use it was love and I have been using it ever since, I no longer have to back comb my hair for volume which is so damaging for my hair, I can now be kind to it by using the Creme Contour and it's just perfect for those that work so hard blowdrying their hair to get that beautiful voluminous style but struggle to keep that hold and lift, you need the tiniest amount as a little goes a really long way but let me tell you the Creme Contour is going to hold that baby like no other! 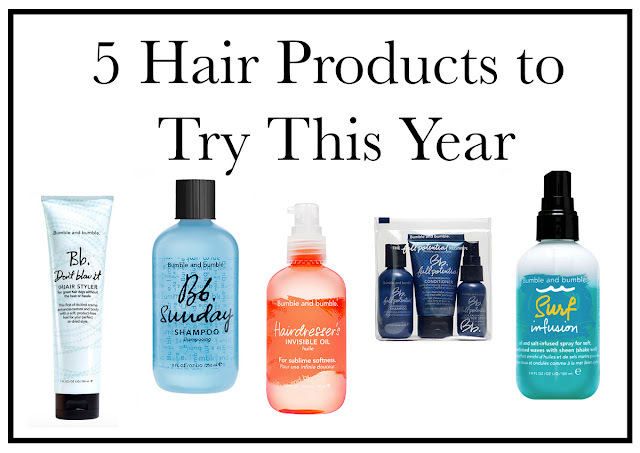 Have you tried any of the Bumble and Bumble styling range? Ask one of the salon stylists about products that would suit your hair type we are always happy to help!